From the moment my daughter started preschool, she absolutely loved it, and with each passing week, I was amazed at how much she continued to develop. Her language exploded, she (mostly) followed directions, she became more confident, and she developed so many fantastic new skills. But it wasn’t all roses and sunshine, and she absolutely REFUSED to participate in arts and crafts, and while this didn’t bother me for the first few months (I was just so happy she was enjoying preschool! ), I soon realized we were going to have major issues with Kindergarten if we didn’t try to figure things out. So I started to replicate a lot of the arts and crafts she did at preschool into our afternoons at home in an effort to make her more comfortable and confident with the idea of cutting and gluing and sticking and painting. And guess what? My fridge is now COVERED in artwork! My only challenge is coming up with new and exciting projects for us to do together, so I’m forever searching for new ideas on Pinterest, and recently stumbled upon a couple of adorable toilet paper roll crafts for kids that were so much fun. I also recently purchased 3 great kids activities books that are loaded with boredom busters for kids. You can buy them at Barnes and Nobles or via Amazon right here: 101 Kids Activities That Are the Bestest, Funnest Ever! by Holly Homer and Rachel Miller, The 101 Coolest Simple Science Experiments by Holly Homer, Rachel Miller, and Jamie Harrington, and 150+ Screen-Free Activities for Kids by Asia Citro. 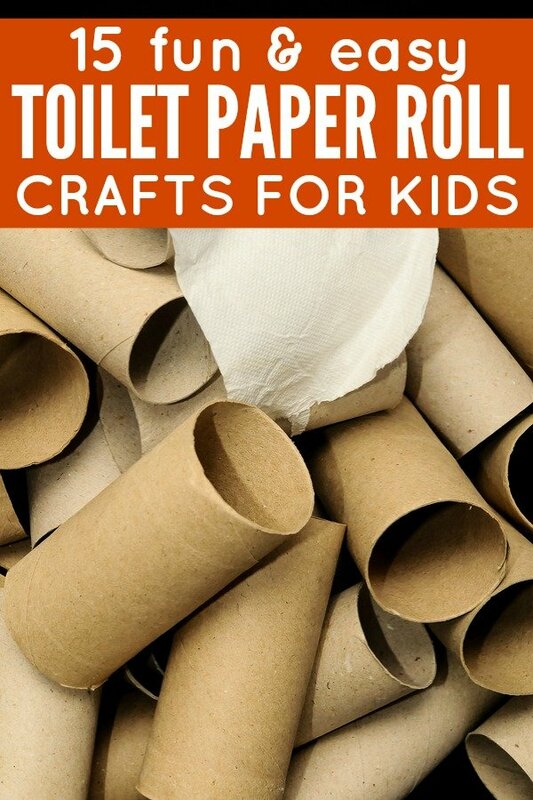 And now for this toilet paper roll crafts for kids! If you enjoyed these toilet paper crafts for kids as much as we did, please share them on Pinterest! And if you’re looking for more ways to have fun with your kids, please follow our Kids board where we share all kinds of great activities and crafts!